L'Auberge de Cendrillon, or "Cinderella's Inn," is a table service sit-down restaurant at Disneyland Paris that features traditional multi-course French cuisine. Set inside a beautiful building reminiscent of fairy tale architecture, this eatery also features character meet-and-greets. 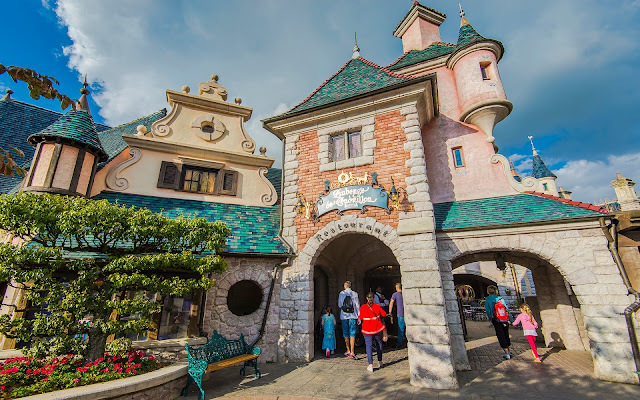 It's definitely an experience that requires a slower pace, and given my limited time during my two past visits to Disneyland Paris, I have never actually dined inside. But the outside is just lovely, and perhaps one day, I'll do the park a little more slowly and actually be able to savor experiences such as dining here!